It’s getting close to Halloween and I am celebrating early by watching every horror movie in my collection. I’m a pretty big fan of horror movies, but the ones I really love involve vampires. Yep, I’m a total nerd for vampires, and I’m not ashamed to admit it. 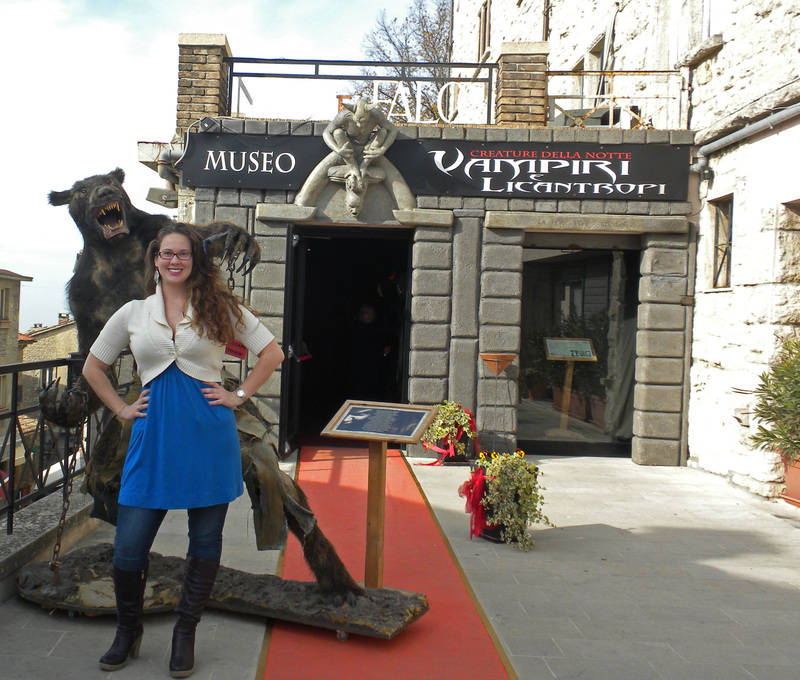 Last year on a trip to San Marino (a tiny country encircled by Italy) my friends and I stumbled across the Vampire Museum. Of course I could not pass up the chance to see what was inside. 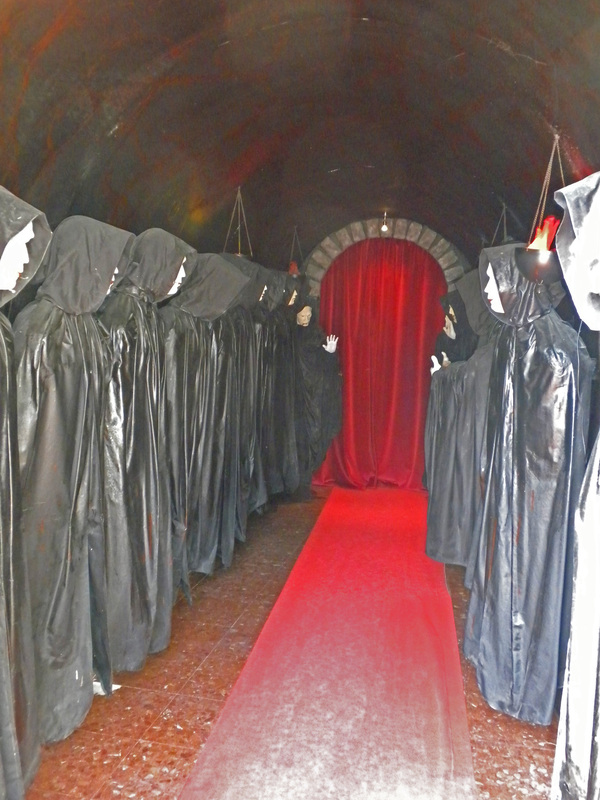 The entrance to the “museum” was a lot like the entrance to a haunted house, a little creepy and a little cheesy at the same time. 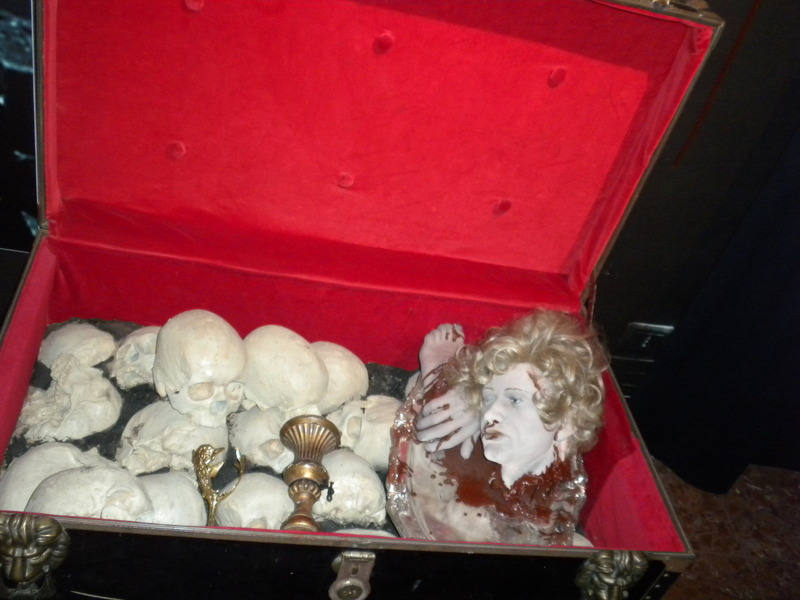 I am not sure what I was expecting to find inside, but I certainly wasn’t expecting a menagerie of wax figures. A lot of the figures were super-gory, like people impaled by stakes and Countess Elizabeth Bathory bathing in the blood of young women, and some were just strange. There were also some depicting the famous vampires in cinematic history, starting at the Nosferatu from F. W. Murnau’s silent film, all the way up to the Count Dracula from the 1992 version. As of last year there was no Twilight corner (I don’t think sparkly vampires can hold their own against against the heavyweights in there). 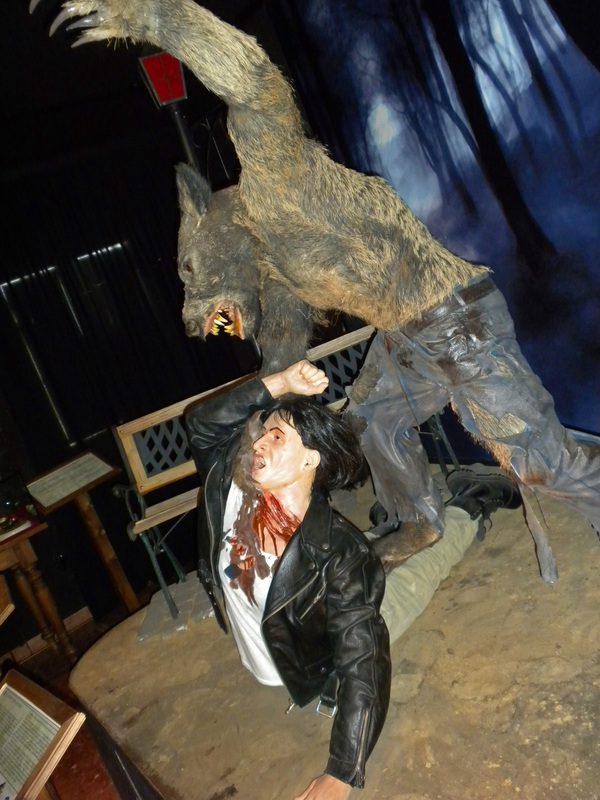 To help set the mood for Halloween I thought I would share some of the pictures from this little creep show with you. Don’t worry, I left out the really gross ones! I have my scary movies all lined up for tonight and my pumpkin ready for carving tomorrow. Have a great Halloween weekend everyone! 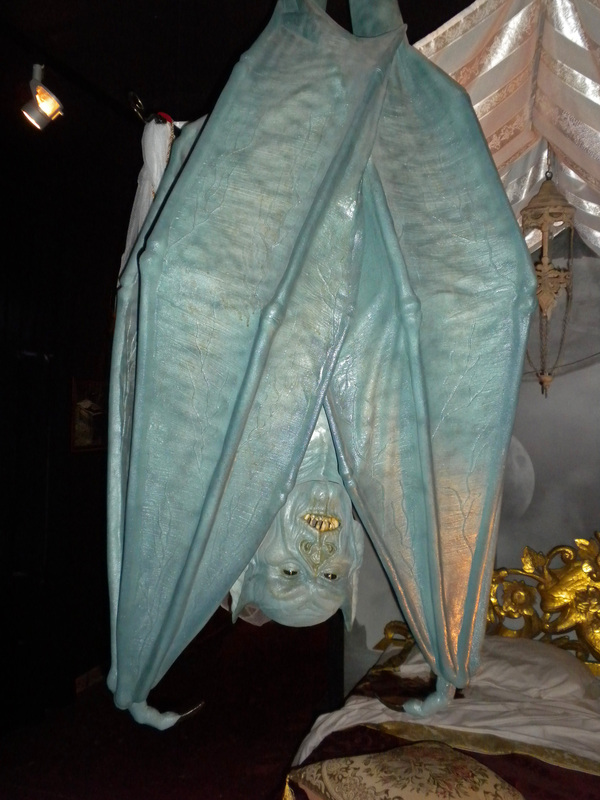 This entry was posted in Uncategorized and tagged 35 Before 35, Halloween, Holidays, San Marino, Travel. Bookmark the permalink. I’m hoping to visit Italy in the fall. I love vampires. So should I visit this museum? Like you said, it looks a little cheesy…but fun, too! Where in Italy do you want to go? 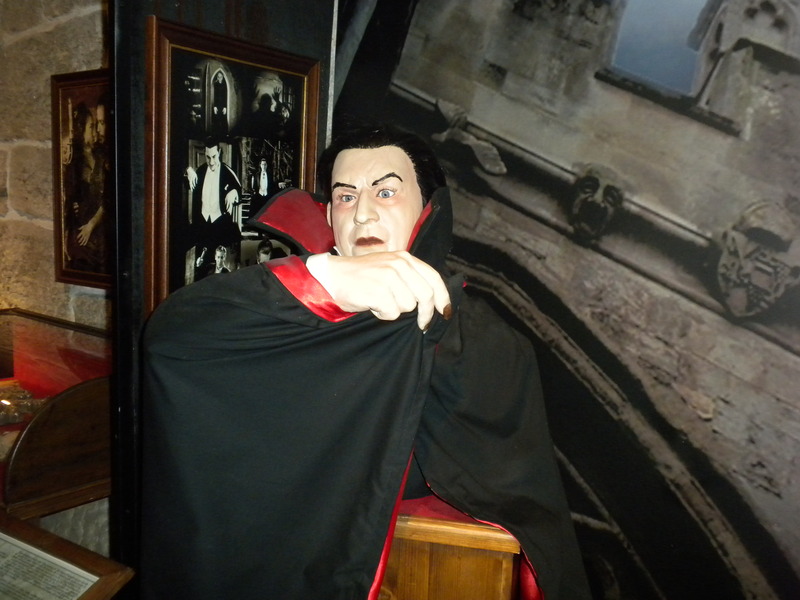 If you are anywhere near San Marino I think it is worth a day trip to get another stamp on your passport (and see some cheesy wax vampires!). Hey, what is the address to this museum? Great pics. Good question… I have no idea 🙂 The only thing I remember about how to get there is to walk up the main street and it will be on your left. It is at an intersection near the top of the hill. Happy hunting!